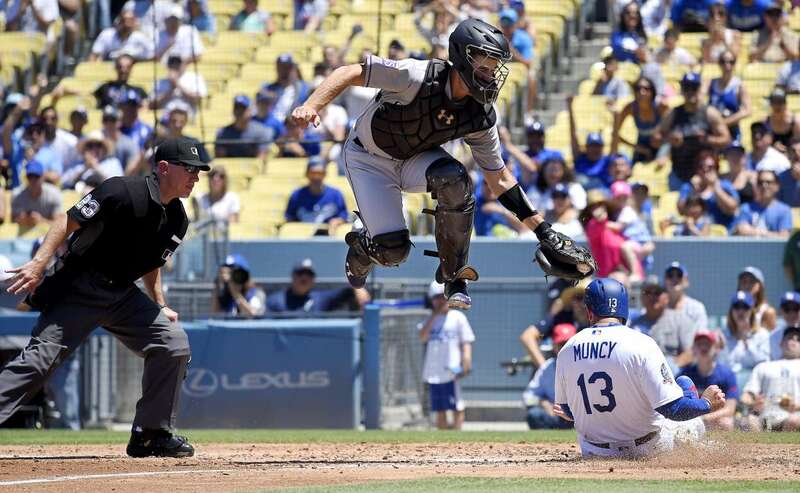 The Dodgers', Max Muncy (13), scores on a double by Matt Kemp, under the tag of Rockies catcher, Tom Murphy, center, as home plate umpire, Lance Barksdale, makes the call, on Sunday, in Los Angeles. The Dodgers won 6-4. Roger Federer jokes during a practice session, ahead of the start of the Wimbledon Championships in London, on Sunday. The Championships will start on July 2. 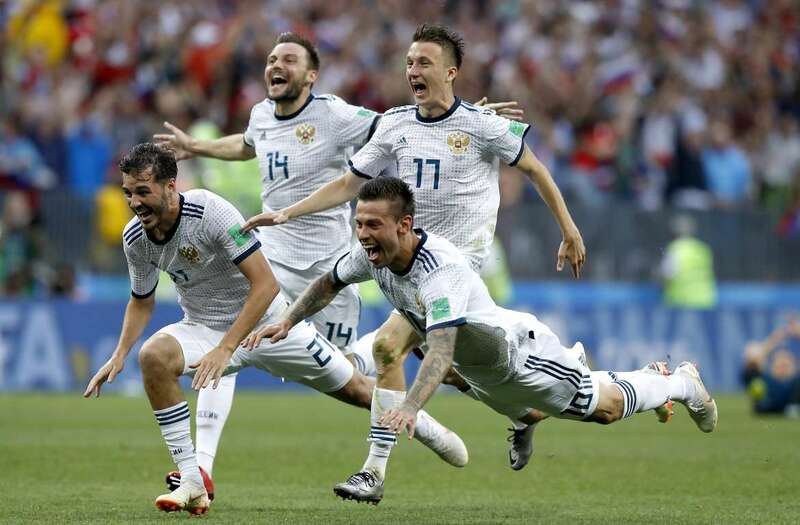 Russia's, Fyodor Smolov, right, dives, as he celebrates with teammates, after Russia defeated Spain in a penalty shoot out, during the World Cup match, on Sunday in Moscow. Russia won 4-3. 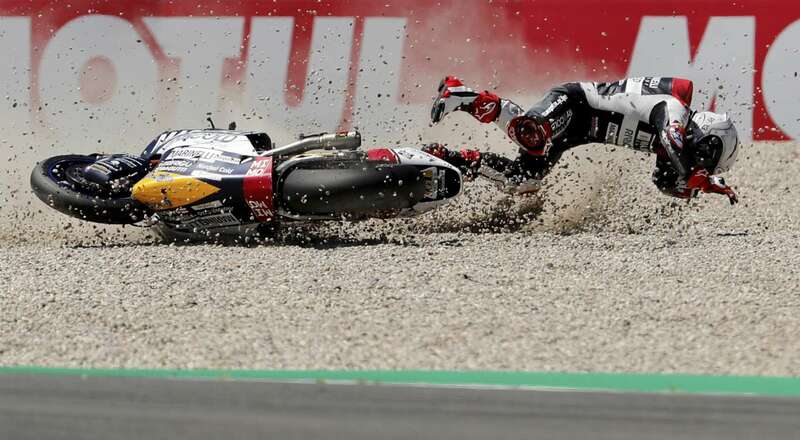 Marinelli Snipers Team's, Romano Fenati, crashes during the MotoGP Assen Grand Prix, on Sunday in Assen, Netherlands. 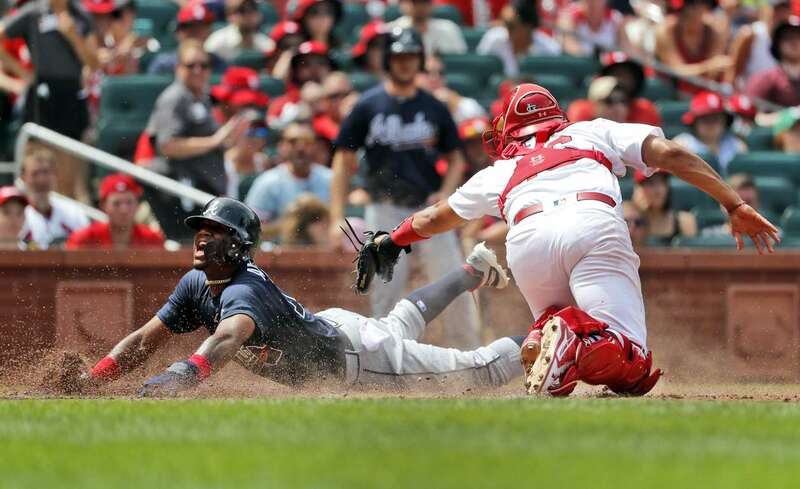 The Braves', Ronald Acuna Jr., left, celebrates, as he scores past the Cardinals catcher, Francisco Pena, on Sunday in St. Louis. The Braves won 6-5. 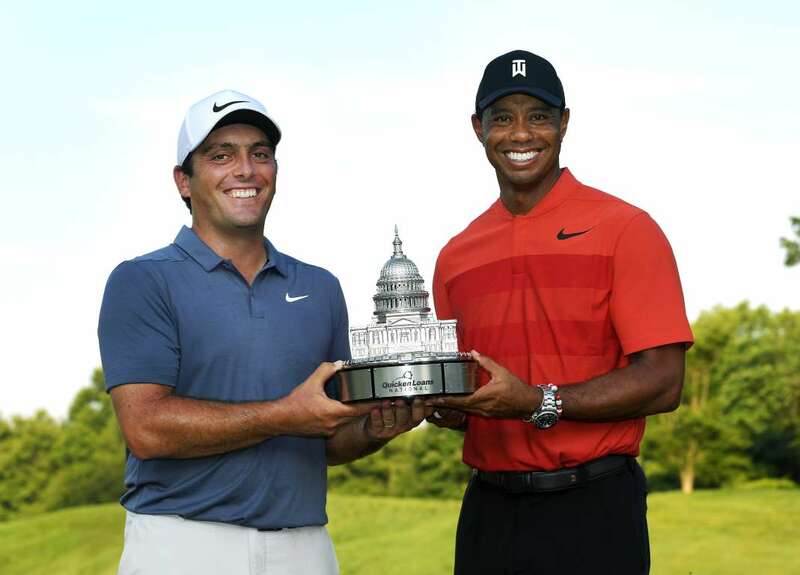 Francesco Molinari, left, of Italy, poses with Tiger Woods and the trophy after he won the Quicken Loans tournament, on Sunday, in Potomac, Md. 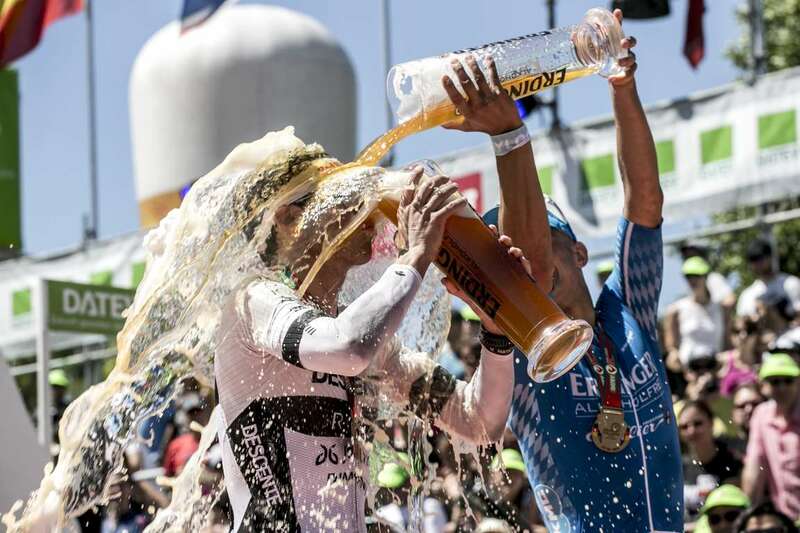 Andreas Dreitz from Germany, and Jesse Thomas, react, after finishing the DATEV Challenge Roth, on Sunday in Roth, Germany. 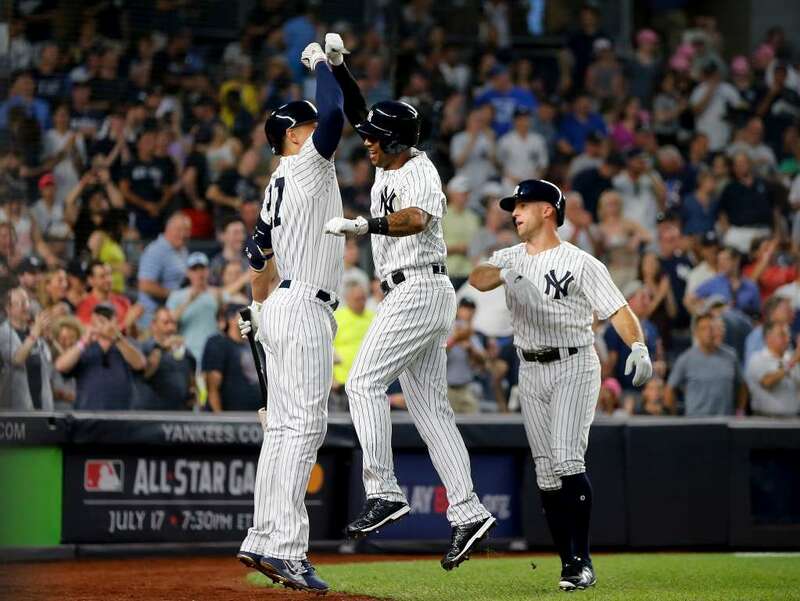 Aaron Hicks, center, of the Yankees celebrates his second inning two-run homer against the Red Sox with teammates Giancarlo Stanton and, Brett Gardner on Sunday, in New York. The Yankees won 11-1. 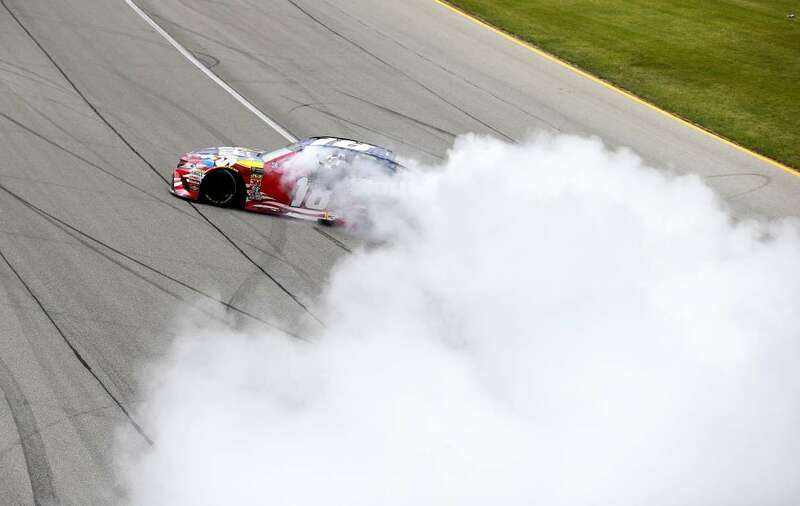 Kyle Busch, driver of the (18) Skittles Red White & Blue Toyota, celebrates with a burnout, after winning the Monster Energy NASCAR Cup Series, on Sunday in Joliet, IL. Croatia's, Danijel Subasic, saves a penalty from Denmark's Christian Eriksen, during the World Cup, on Sunday, in Russia. Croatia won 3-2 in penalty shootout. Sung Hyun Park of Korea, poses with the championship trophy, after winning the PGA Championship, on Sunday in Kildeer, IL. 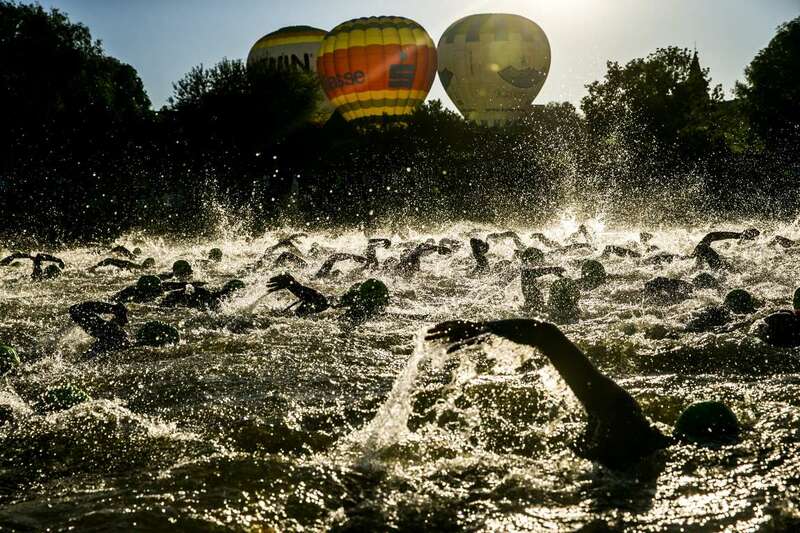 Athletes compete during the swim leg, at the DATEV Challenge Roth, on Sunday in Roth, Germany. 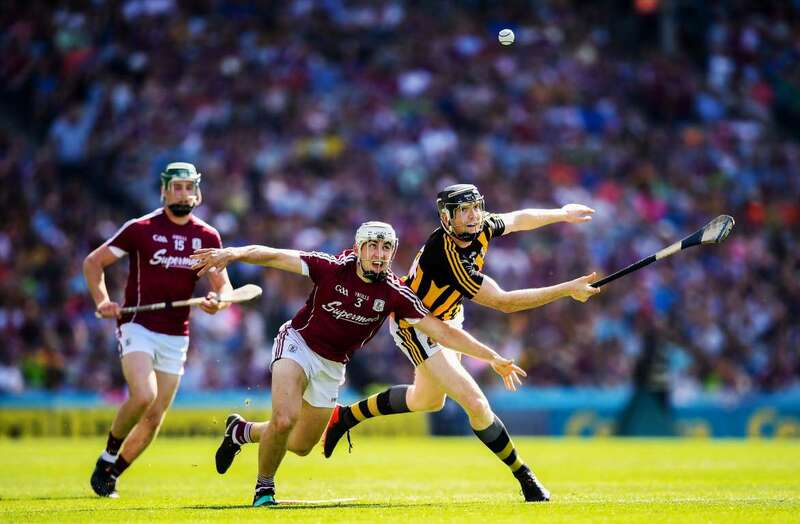 Mallex Smith of the Rays gets doused by teammates Willy Adames and Chris Archer after they beat the Astros 3-2, on Sunday in St. Petersburg, Fla.
Walter Walsh of Kilkenny in action against Daithí Burke of Galway during the Leinster GAA Hurling Senior Championship Final match between Kilkenny and Galway at Croke Park in Dublin. 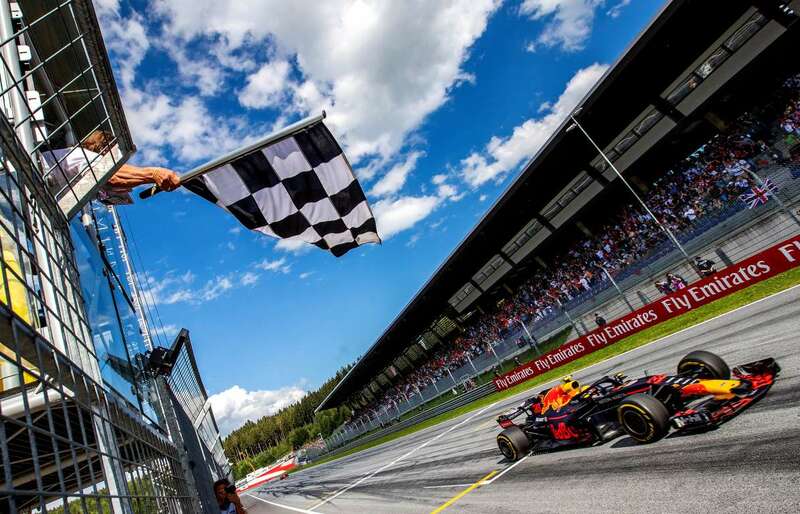 Red Bull's Max Verstappen crosses the finish of the Austrian Formula One Grand Prix in Spielberg, Austria, on Sunday. 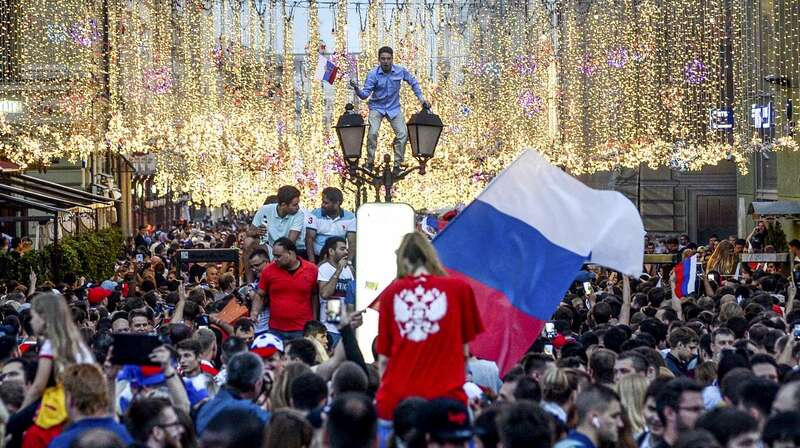 Russia's fans celebrate in central Moscow, after Russia won the World Cup match against Spain, on Sunday. 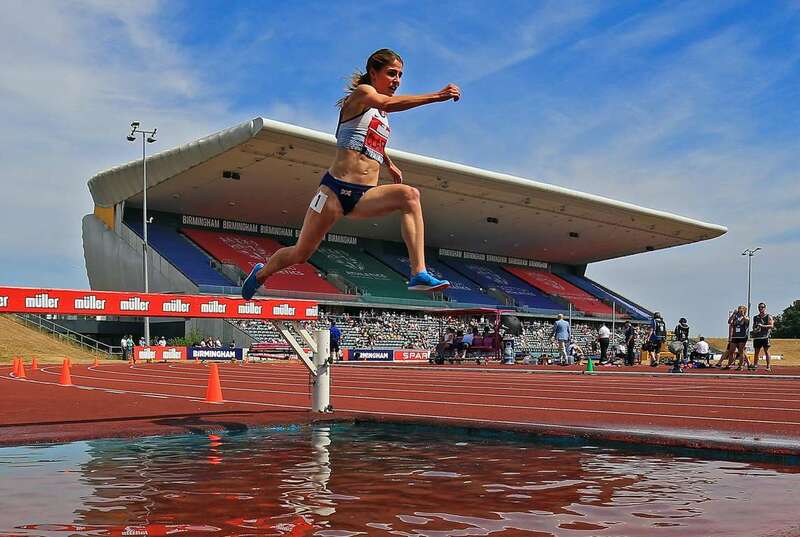 Rosie Clarke in action as she wins the 3000m Steeplechase final during the Muller British Athletics Championships on Sunday, in Birmingham, England. 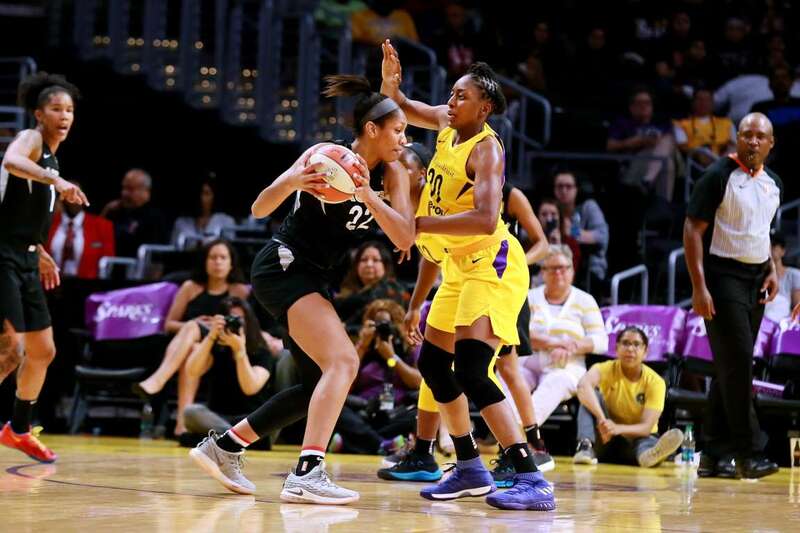 A'ja Wilson (22) of the Las Vegas Aces handles the ball against Nneka Ogwumike (30) of the Los Angeles Sparks during a game on Sunday in Los Angeles, CA. The Sparks won 87-71.